Here's a yellow that stands in defiance against the climatic throes of Mother Nature. 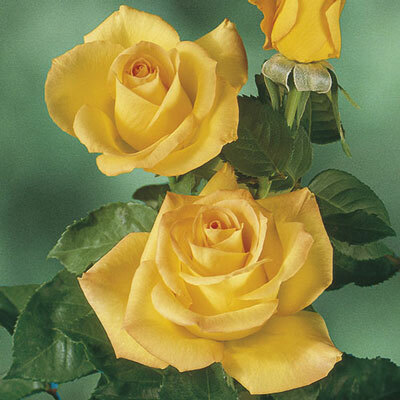 The very vigorous plant gives a nearly constant supply of shapely dark gold buds brushed with orange and deep golden yellow flowers rich with fruity fragrance. The long stems are low-thorned and clothed with large very resistant deep green foliage. Deeper color in moderate climates.